There was lamentation in Yenagoa, Bayelsa State, at the weekend following the gruesome killing of a 20-year-old 300-level student of the Niger Delta University (NDU) by a trigger-happy policeman. Tariela Nikade, the last in the family of Nikade Anderson, a popular broadcaster, was reportedly shot dead close to their house at Tinacious Road, Edepie, Yenagoa. The latest murder came a few weeks after a 100-level student of the university, Seifa Fred, was shot dead by a gang of cultists, who snatched her smartphone. It was gathered that following the strike declared by the Academic Staff Union of Universities (ASUU), Tariela, an engineering student, decided to learn haircut at a barber shop close to their house. Narrating how his brother was killed, Anderson said: “My brother, the last in our family, who came home following the ASUU strike, was at a barber’s shop where he was learning haircut. “Suddenly, at about 7pm, a team of policemen stormed the area. They entered into the shop and asked people there to raise their hands. I and others raised their hands. One of them shot my brother at the back of his neck. Anderson added that his brother was immediately rushed to a private hospital in Yenagoa and was later moved to the Family Care Hospital where he was confirmed dead. The killing caused outrage and protest in Yenagoa as residents and landlords in Akeinfa marched the streets and demanded justice for Tariela, The Nation reports. The protesters besieged the Akenfa police station, insisting that the policeman must be identified and prosecuted for the crime. 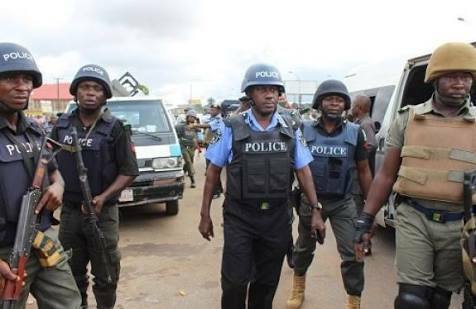 Some of the residents decried the unprofessional attitude of the police, saying it was a far cry to the professional conduct of the withdrawn state security outfit, Operation Doo-Akpor. A social commentator, John Idumange, called for thorough investigations into the circumstances that led to the killing. “The matter should be thoroughly investigated. We cannot keep quiet. For now, sorry is not enough. Kokorifa was killed and his killers have been served justice. This matter should be pursued to its logical conclusion,” he said. But the police command in a statement signed by the PRO, Asinim Butswat, identified the trigger-happy policeman as Sergeant Timadj Emmanuel. Butswat said the policeman was immediately arrested, disarmed and was undergoing orderly room trial. He said: “Bayelsa State Police Command condoles with the family and assures that justice will be done. "The Bayelsa State Police Command regrets the unfortunate incident involving a police officer and a resident of Tenacious Road, Edepie, Yenagoa. “On 23 November, 2018, at about 1930 hours, Sergeant Timadi Emmanuel, attached to a patrol team of Akenfa Division, while on patrol at Tenacious Road, Edepie, under questionable circumstances, shot one Tariela Nikade ‘m’ 20 years. The victim was rushed to the hospital, where he was later confirmed dead. “The sergeant has been disarmed, arrested and is undergoing orderly room trial. Investigation is in progress and its outcome will be made public.